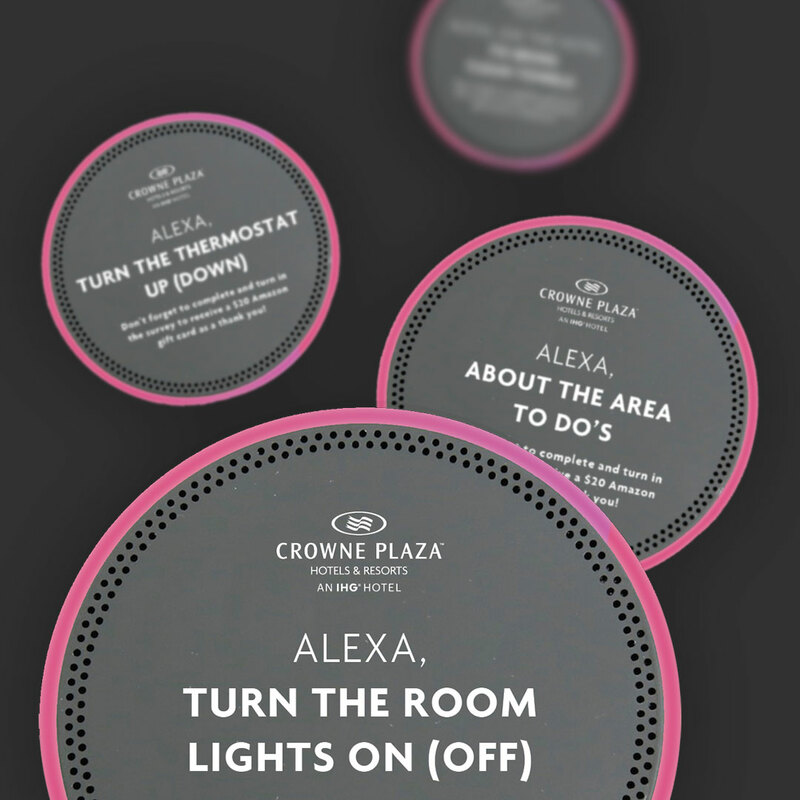 Launching Alexa into Crowne Plaza. Crowne Plaza has been a staple of the IHG brand for its luxury offerings at an affordable price. However, with Airbnb making an impact on the hotel industry, Crowne Plaza looked to make significant efforts to be unique and remain a trusted brand. 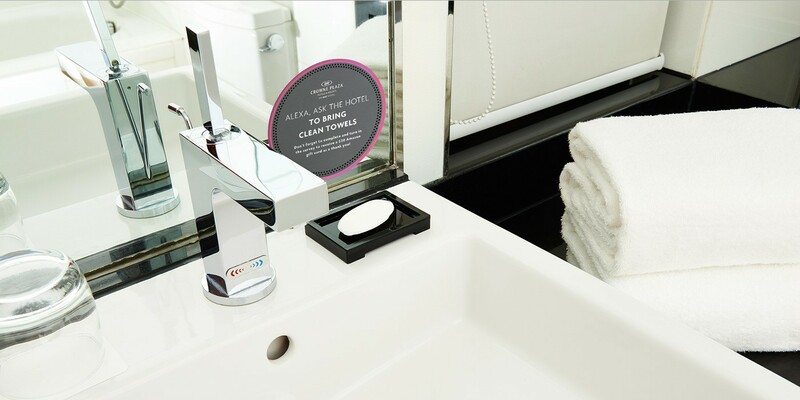 One initiative involved collaborating with Amazon to create a brand new, innovative hotel experience. When Alexa by Amazon was released, there was a lot of hype over its possibilities. Pairing it with Crowne Plaza was a perfect fit. 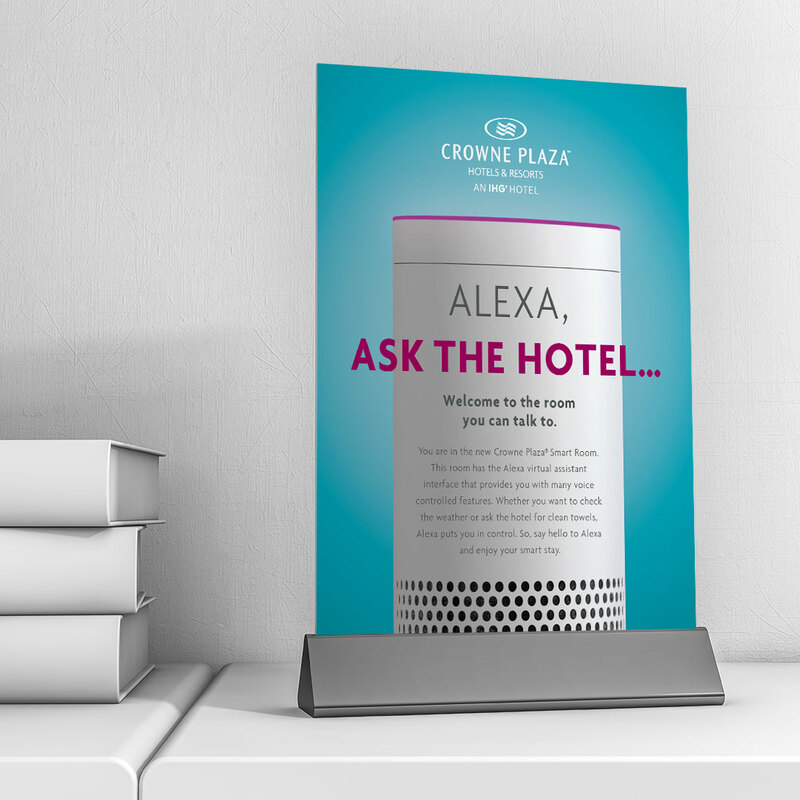 We worked with Alexa and Crowne Plaza to create an outline of custom commands that would enhance the hotel experience through Alexa automation and grow a sense of belonging with the hotel. 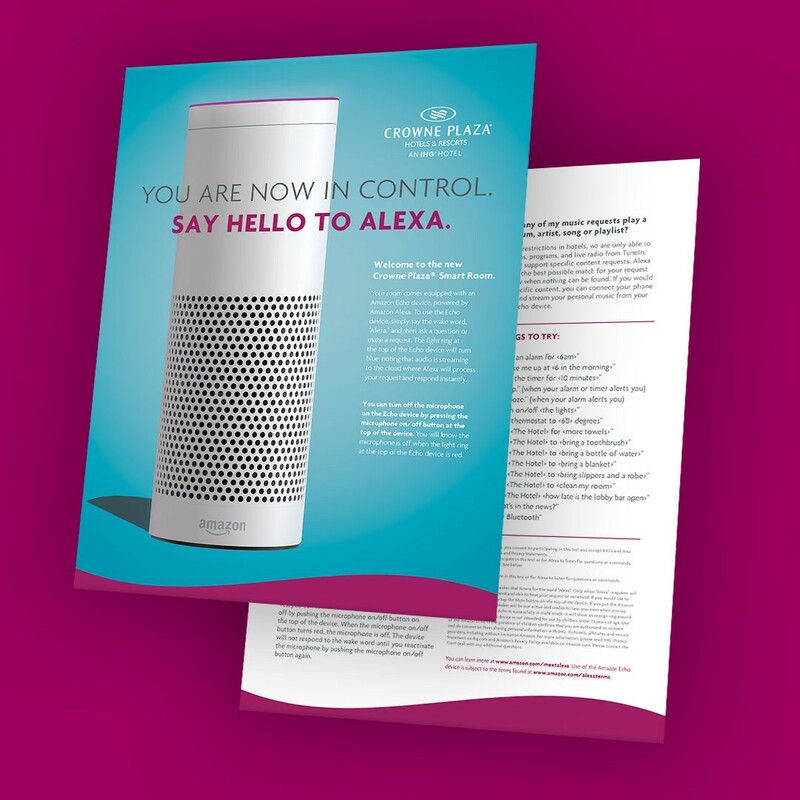 We made interaction with Alexa in a Crowne Plaza room an intuitive and desirable experience through a defined guest messaging pathway smartly organized media. After analyzing the space, the solution came naturally. In addition to creating a single sheet with all of the commands, subtle stickers were applied near all the touchpoints and their corresponding task. 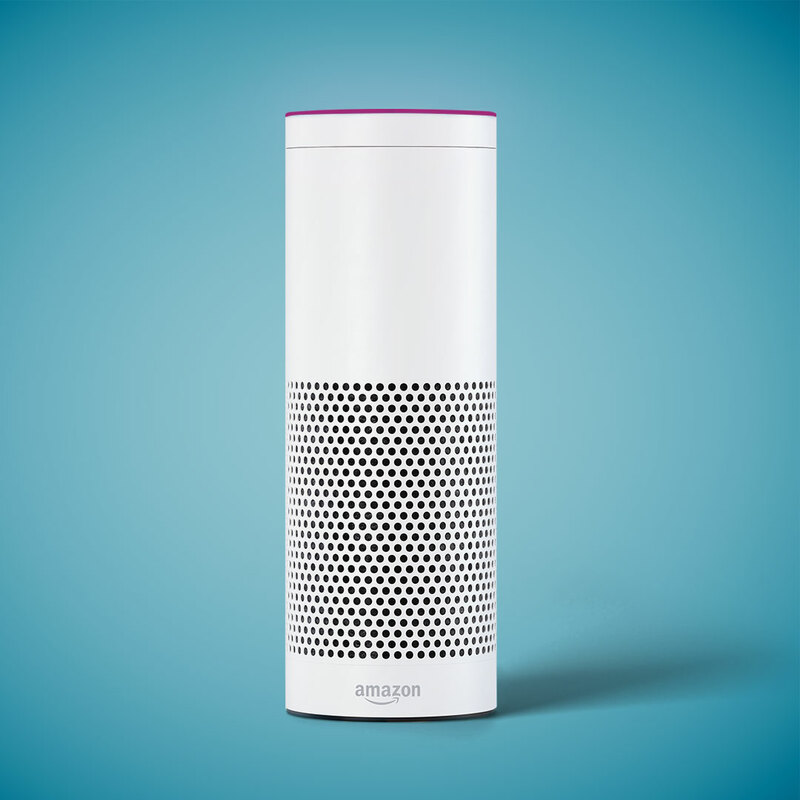 The challenge was to make Alexa’s specialized functions intuitive for customers, so that they would feel comfortable using them.